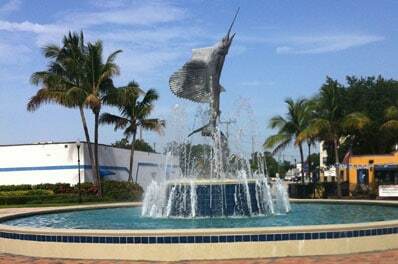 The city of Stuart, located in Martin County, is known for its beauty and fishing. Stuart is the largest municipality in Martin County with a population of 17,285. In the winter, Stuart’s population swells to 21,087 because people come to enjoy its mild and pleasant winters. Stuart borders the St. Lucie and Indian Rivers. Stuart has been labeled the “Sailfish Capital of the World” for its wonderful sailfish fishing season that runs from November to May. Stuart also has some of the most beautiful beaches in Florida, home to sea turtle nests as well as recreational fun. All Points Mobile Shredding is proud to serve Stuart. Since 1994, we have provided exceptional customer service, competitive pricing, and offered document shredding and hard drive destruction solutions to businesses and residents. Identity theft and data breaches are some of the fastest growing crimes in the United States. Federal and State laws about what businesses must do to comply with data privacy protections are getting more and more stringent. Fines and penalties are increasing and being more rigorously enforced when a breach occurs. Improper disposal of documents leaves you at risk. With All Points Mobile Shredding, your employees can always discard sensitive documents in a safe and secure manner. To find out more about our shredding services in Stuart, please contact us by phone or complete the form on this page.